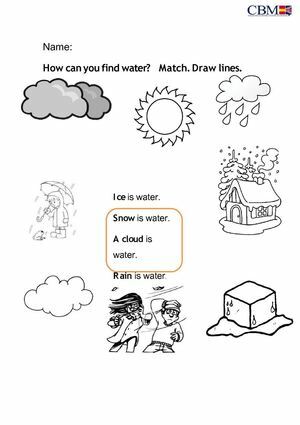 Name: How can you find water? Match. Draw lines. Iceis water. Snow is water. A cloud is water. Rain is water.